Should I Use Meal Replacement Powders and Protein Bars? 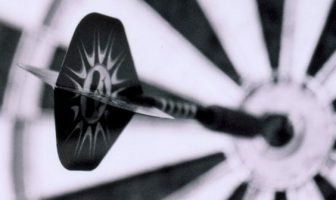 You are at:Home»Questions & Answers»Should I Use Meal Replacement Powders and Protein Bars? I’m about to start a weight training program and have a few questions so I can make sure I’m on the right track. My plan includes 3 days of resistance training and 3 days of cardio workouts per week. My question is about nutrition and I wanted to know if you recommend drinking meal replacement powders and eating protein bars. The meal replacement products I currently have contain 15 grams of protein in each serving. Is that enough for me or should I be using a different product with more grams of protein? My work schedule is very hectic and I don’t have any time to cook meals so I need something that is convenient along with being healthy. I currently weigh 210 pounds at 5’10” tall and I’m 27 years old. Along with meal replacements, what types of healthy snacks do you recommend eating between my meals so I can keep from being hungry throughout the day? Although meal replacement powders and bars (MRPs) can be extremely convenient, you should focus on eating the majority of your calories through nutrient dense whole foods versus supplements. There is simply no substitute for consuming 100% organic lean protein, clean carbs and healthy fats from real foods. I will discuss how you can include healthy meals into your nutrition plan in a simple and easy way, but now I want to cover meal replacement powders and protein bars. You might hear a lot about MRPs or MREs lately due to the busy lifestyles that so many people lead. MRP stands for Meal Replacement Power or Meal Replacement Product and MRE stands for Meals Ready To Eat. Although both are super quick sources of nutrition, one is engineered nutrition (powders and bars) and the other is actually real food. MRPs come in a few different variations. There range from huge 3-5 pound jugs of powder (protein powder) along with more convenient and portable packets that contain the powder inside of them. The great thing about the packets is that you can put them in your gym bag, suitcase or even your briefcase and have everything you need to shake up a quick high protein meal. However, you will also need a shaker bottle to mix everything up. The big jugs of protein powder are usually used at home and this is great for making high protein smoothies with additional ingredients like fruit, oatmeal and even flaxseed oil. You mentioned that your current MRP product only contains 15 gram of protein per serving. At your size (210 pounds), you will need far more protein per meal to meet your daily requirements for building lean muscle and losing fat. Your goal should be 1 gram of protein per pound of body weight. Since you weigh 210 pounds, your overall daily protein intake should be at least 210 grams. Divide this total amount between 5-6 meals per day and it will come out to about 35-42 grams of protein per meal. That actually works great for you since many of the meal replacement powders and bars have 30-40 grams of protein per serving. Since you are traveling a lot and need quick access to convenient nutrients, eating meal replacement bars (protein bars) will probably be much more convenient over choosing powders. The main reason bars are better in your situation is because of the preparation time. Let’s say you are traveling on business and you have a 5 hour flight to your destination. You will be running around airports, checking into hotels and dealing with the overall hustle and bustle that comes with traveling. If you had chosen to take some packets of meal replacement powders with you, then you will need 3 different things to make everything work correctly. You need the packet of powder, some kind of liquid to mix the powder with (water, juice) and a bottle or container to mix everything up with (shaker bottle). As you can see, this becomes a hassle when you are on the plane and are in very tight quarters with the people sitting next to you. You could go to the bathroom to mix up your protein shake, but you will need to get into your bag to get your shaker bottle, grab your packet of protein powder and then use the bathroom water to mix it up. Sounds like a little bit of a hassle. On the other hand, let’s take a look at the convenience of a protein bar. You have a self-contained unit of nutrition that consists of a wrapper and a bar. You open the wrapper and eat the bar in a very quick and easy process. You can pack 3-4 protein bars in your small carry-on bag and have nutrition to cover you for at least 6-8 hours. The only thing you need to be worried about it where to discard your empty wrapper, which actually brings up another interesting point about choosing different types of protein bars. If you want to avoid having messy chocolate all over your hands and dripping inside the wrapper when you finish eating, make sure to choose a protein bar that does not have a chocolate outer coating. If you happen to choose a bar with a chocolate coating, they tend to leave a bit of a mess to clean up after you’re finished. If you leave the bar inside of a hot car or other area with heat, you will have a bar that melts and leaves even more cleanup when you decide to eat it. So, choose a protein bar that does not have an outer coating of chocolate and you will be much happier. 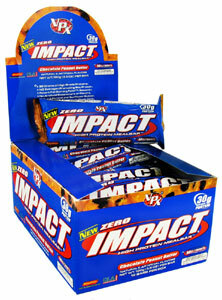 One of the best meal replacement protein bars I recommend are Zero Impact bars from VPX. These bars taste great, are packed with quality ingredients and do not cause a mess when you’re finished eating them. They come in delicious flavors like Pumpkin Supreme, Peanut Butter and Jelly, German Chocolate, and Chocolate Peanut Butter. The other great thing is that the Zero Impact bars are huge (100 grams) compared to many of the protein bars on the market. They actually fill you up and serve as a full meal during the day when you need quick access to quality protein and healthy fats. Each one of these includes about 35-40 grams of protein per packet, which is great. Make sure to only use these as replacements and focus on real food as your primary source of nutrition. An MRE (Meal Ready To Eat) is something that is quite a bit different. They were originally created for the military in order to have access to quick and healthy nutrition anywhere in combat. They contain actual food inside the packet or pouch that comes with special layers and film material that help to keep the food preserved for long periods of time. These MRE pouches are now used a lot in disaster relief efforts like hurricane Katrina and other natural disasters where a lot of people need quick access to a large amount of nutrient dense food. Since MREs are not usually used for fitness, it’s always an option to look into if you start to burn out on engineered foods (powders and bars) and want to try something different. As noted earlier, I highly recommend focusing on whole foods first before resorting to nutritional supplements like meal replacement products. It’s very hard to truly match the nutrient dense qualities of organic foods and I would like to show you how easy it is to make quick protein packed meals. All you need is some Tupperware (five 1 cup bowls), a rice cooker and a microwave. You can make an entire day’s worth of meals in about 30-45 minutes. Put 3 cups of brown rice into the rice cooker and turn it on. Buy pre-cooked chicken breasts in bulk at your local Costco or Sam’s Club. The mesquite grilled flavor tastes amazing. After about 30 minutes, check the brown rice to see if it’s ready and if so, take 4-5 chicken breasts and microwave them for about 10 minutes. Once the chicken is ready, take your Tupperware and add 1 cup of brown and 1 chicken breast to each of the bowls. You can also add some other vegetables like raw broccoli or carrots to the mix for a little more crunch and flavor. Seal up the bowls and you’re all finished. You now have 4-5 healthy meals that you can take with you and store in a cooler or put in the trunk of your car. These protein packed whole foods provide quick and easy access to solid, nutrient dense meals that will help you achieve your muscle building and fat loss goals! In terms of choosing healthy snacks to eat between your meals, take a look at our list of 25 healthy snacks to see which ones made the list. This will give you some great options to pick and choose the foods that you like best while providing healthy nutrients to your body throughout the entire day.